Meet my latest face obsession: Tropic Skincare. 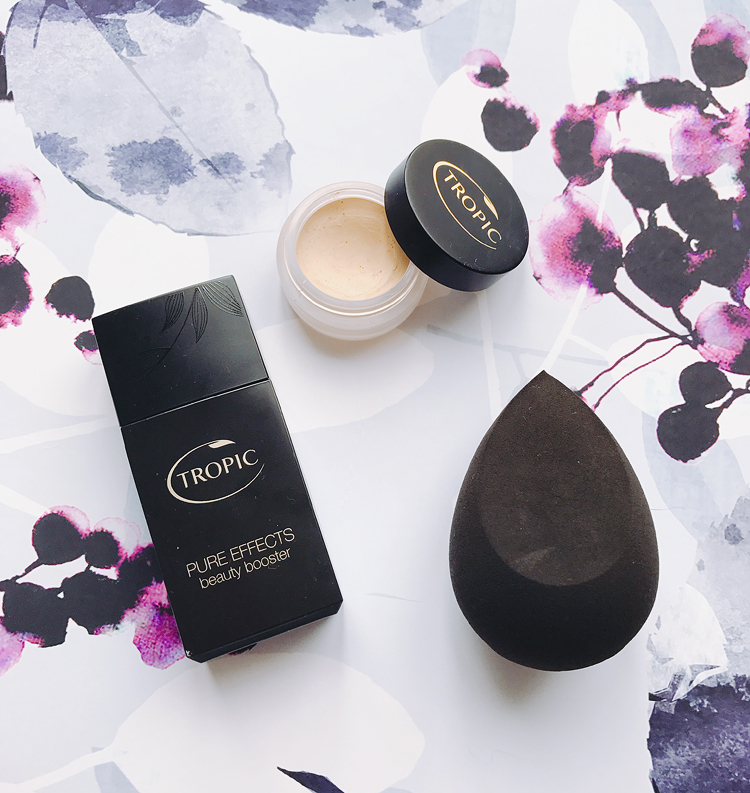 I've been wearing the Tropic Pure Effects Beauty Booster paired with the Correcting Cream Concealer for a couple of months now, with the pair quickly becoming my go-to couple for work day makeup. I'll keep my review of the Beauty Booster short and sweet, and if you haven't tried anything from Tropic before, especially their makeup, I urge you to have a look at what they offer! I have quite a few things on my list after being so impressed with these. Everything is 100% vegan, too! Swatched.. Top - Cream Concealer in Light. Bottom - Beauty Booster in Light. The Beauty Booster is a serum foundation/BB cream that offered me a surprising amount of coverage. What really impressed me, however, was the lightweight feel and non-greasy finish. I've tried a lot of natural bases recently and have found it difficult to find a match that isn't very heavily oil based, or thick and dry feeling. With aloe vera juice as the top ingredient, this acts more like a serum (as the name suggests) and sinks into the skin beautifully, covering redness and helping hide marks, spots and scars making them easier to conceal afterwards. Like I said above though, this exact formulation is no longer available, so maybe try and get a sample if you can! Moving onto the Correcting Cream Concealer, which is actually my favourite! Long-time readers of the blog will know that once upon a time I used the RMS Un-Cover Up as my concealer of choice, and this reminds me of that. Except that it's thicker, very creamy, has more coverage and is not based on coconut oil (!!!) so all around it's better for me and my troublesome skin. 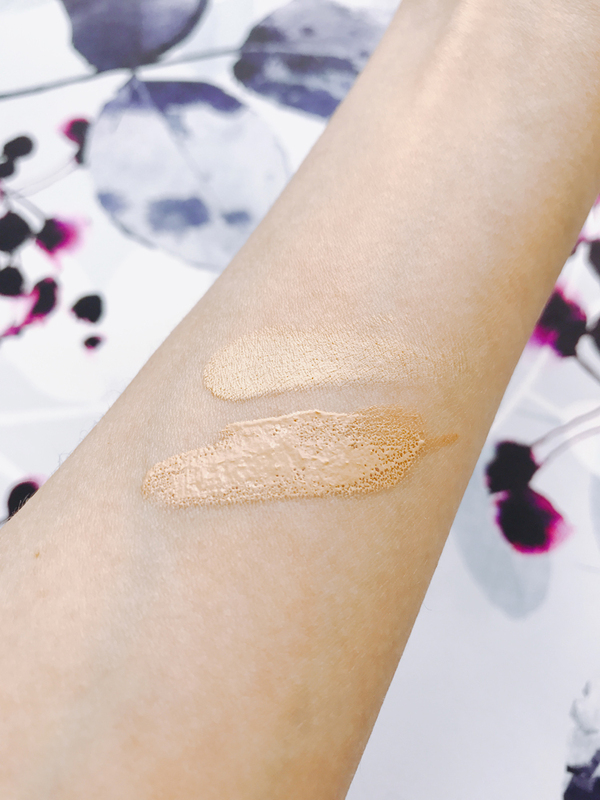 I have the shade light, which as you can see above is a very good match for me, it covers under eye circles like a dream and can be dabbed onto blemishes and blended in with a brush or your fingers to create a flawless finish. In this summer heat I do tend to set it with a quick dusting of powder, as it started to crease under my eyes in the heat - but that's a small thing really. I would definitely buy this again when I run out (though I think it's one of those products that might expire before I can use it all! it's lasting really well even with daily use!). What do you think of Tropic? Have you tried their products before?